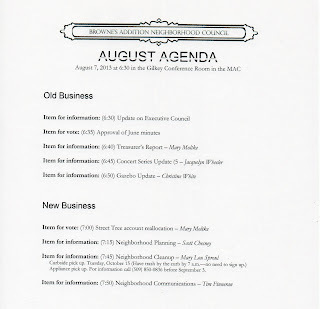 It's been a long hot summer (so far) and your Neighborhood Council is back and ready to do business once again. 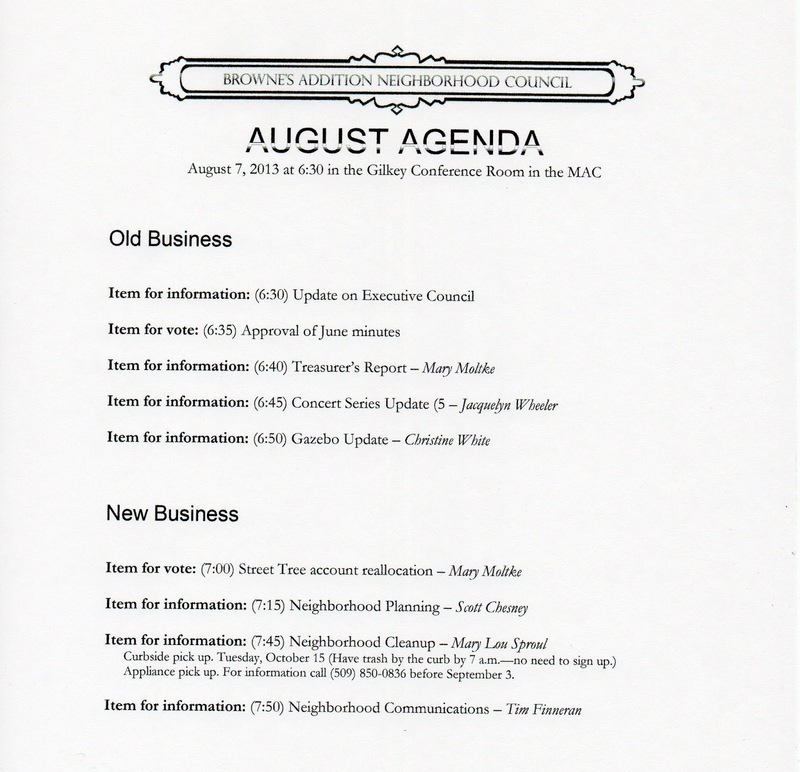 Please join us this Wednesday evening, August 7, 2013 at 6:30PM for our August General Meeting. As always, we meet at the Museum of Arts and Culture, downstairs in the Gilkey Community Conference Room.